Researchers have tapped into what could become a new, and better, tool for human resource professionals trying to predict the success of job candidates. Don Kluemper, a professor of management at Northern Illinois University’s College of Business, and a team of researchers, found that impressions gleaned from a five- to 10-minute perusal of Facebook pages were actually a stronger predictor of a candidate’s likelihood to excel in a job than the personality surveys that many companies require job candidates to complete. Of course, human resource departments have been trolling Facebook profiles for almost as long as the social media site has existed. However, until now, there has been no statistical data to prove that the practice has value. The study did not take into account potential legalities regarding the practice. “A lot of actions are taken based on Facebook profiles – people are hired, fired, suspended – but this is the first study to systematically examine whether using Facebook to help make such decisions has any validity,” said Kluemper, the lead author of the study, which was published this week in the Journal of Applied Social Psychology. The work was co-authored by Peter A. Rosen and Kevin W. Mossholder, of the University of Evansville and Auburn University, respectively. For the study, the researchers had a group of subjects complete a personality questionnaire commonly used by companies to gauge five key traits: conscientiousness, agreeableness, extraversion, emotional stability and openness. Researchers then calculated two personality scores per subject, one based on responses from the subject and the second based on responses from the raters. The team found that the Facebook raters had a pretty good handle on the subjects they evaluated. “Based upon other studies, we were able to conclude that after a five-minute perusal of a Facebook page, raters were able to answer questions regarding the subject about as reliably as would be expected of a significant other or close friend,” Kluemper said. Researchers followed a subset of students who were employed six months later, asking their supervisors to complete a performance evaluation. Comparing those scores to the personality scores they found that the Facebook-derived scores provided a more accurate predictor of future job performance than the score derived from the self-evaluation. In a second study, they discovered that student Facebook scores were a better predictor of future academic success (based upon grade point averages) than personality and IQ scores combined. Kluemper had not expected to find that Facebook was actually a stronger predictor than personality and IQ measures currently being used, but he suspected that it had some value for such uses, based simply on the volume and variety of data it provides. “In five or 10 minutes, our raters could look at the tone of a subject’s wall post, note the number of friends they have, peruse their photos to see how social they were and assess their tastes in books and music. 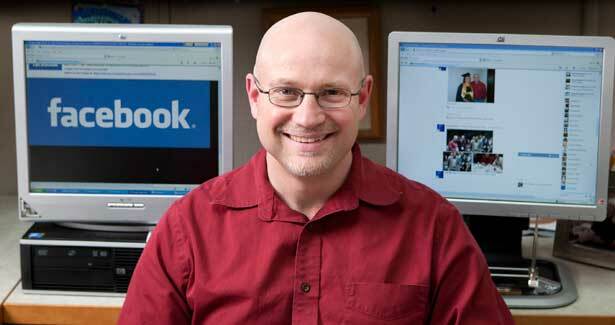 It’s a very rich source of information,” said Kluemper, who himself uses Facebook to keep in touch with friends. Another reason Facebook might be a more valuable predictor is that users are less likely to get away with putting up a false front. For all of its apparent advantages, Kluemper is not advocating that human resource professionals toss aside existing tests and replace them with Facebook. For starters, as the first study of its kind, it bears repeating to see if the results can be duplicated. Secondly, there are multitudes of potential legal issues that still need to be resolved.